Compatible with Android Mobile Wallet app? 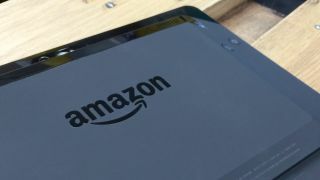 Amazon is reportedly gearing up to launch a mobile credit card reader that would allow stores to take payments using a smartphone. According to internal Staples documents obtained by 9to5Mac, the office and electronics supplier will roll out a device called the "Amazon Card Reader" to its US stores starting August 12. It will apparently go head-to-head with competing card readers from market leaders Square and PayPal and will cost $9.99 (around £5.80, or AU$10.63). Square, which was founded by Twitter co-founded Jack Dorsey, offers its card reader for free but charges a fee between 2.75% and 3.5% for each transaction processed. It's not year clear whether Amazon will also charge a fee per transaction. Amazon recently launched a Mobile Wallet app for Android, which will likely be compatible with the card reader should it turn out to be an actual thing. Despite seeing sales of $19.3 billion, the company recently reported a loss for the second quarter, which saw it launch its Amazon Fire smartphone.